Girl Gone Real – Page 2 – Getting healthy by going REAL. What motivates you to eat healthier? Is it your family? Your health? Hopes of losing weight? Whatever the motivation is, eating healthier is a step in the right direction. But “eating healthy” means different things to different people. What I used to think “eating healthy” was was low fat, low calorie, lean meats, low cholesterol. Obviously vegetables and fruits fit the bill pretty well, but I wasn’t reading labels. I trusted food manufactures and the FDA to properly label foods- if it said it was “part of a healthy breakfast” I figured it was. Organic foods weren’t even on my radar. I knew they were more expensive, but I didn’t put a whole lot of thought into how things were farmed. Once I found out I was pregnant with my daughter, I tried to eat more organic because somebody somewhere told me I should. Once she was born and eating solid food, I purchased separate organic products for her. My husband and I were already S.O.L. after years of pesticides anyway, right? 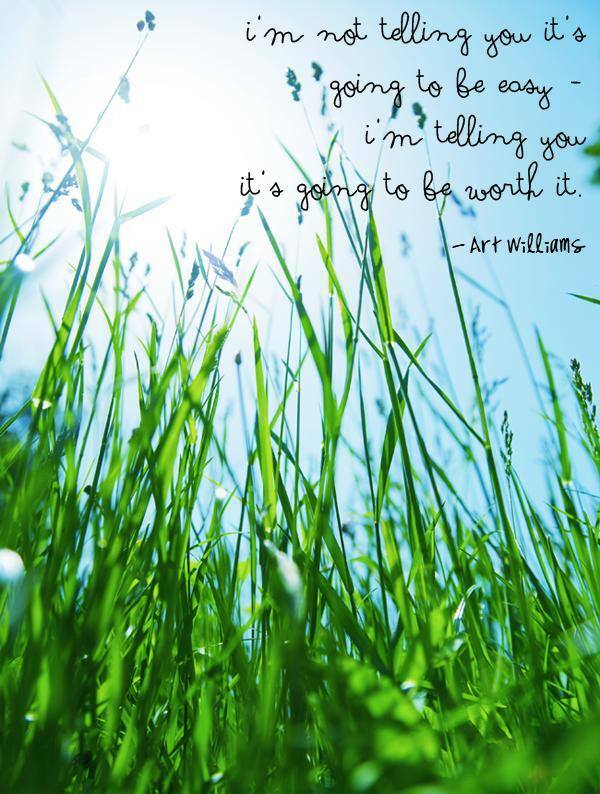 I started following blogs like “100 Days of Real Food”, “Living Maxwell”, and “Food Babe”. I filled my Pinterest boards with from-scratch recipes. 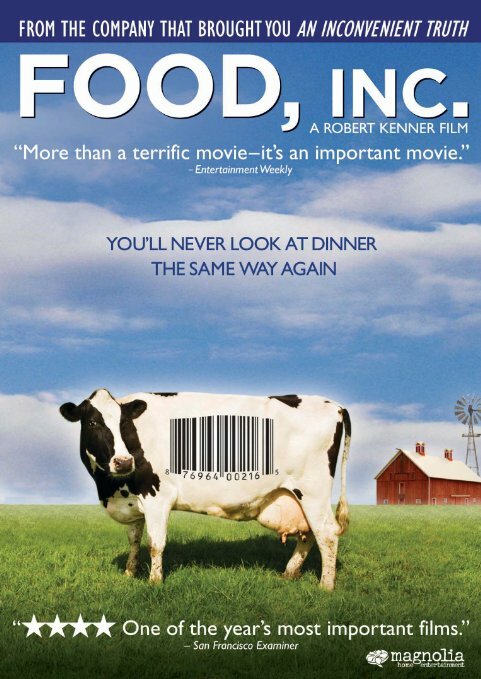 I sought out real, non-processed foods and started reading labels. I watched my good friend’s chronically ill child start to heal through dietary changes. By cutting out gluten and processed foods I was able to get myself off prescription antacids and greatly reduce my migraines. 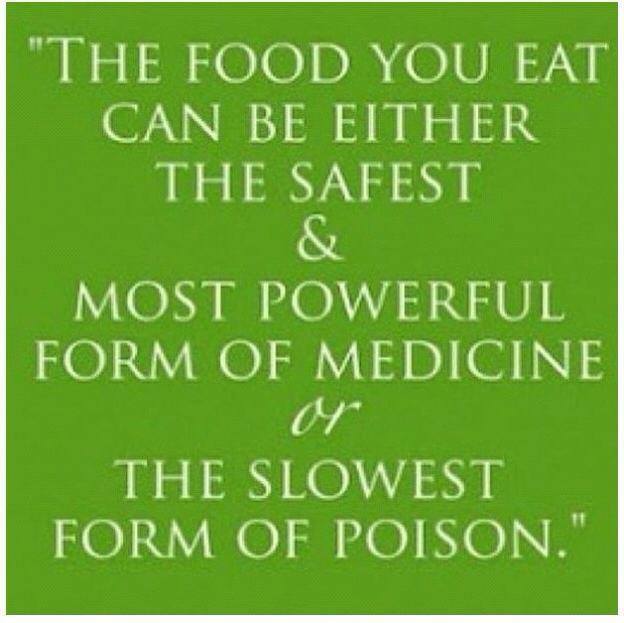 I became a full on believer that food is medicine! It can make you healthy or it can kill you. Real 1-ingredient foods- meats, vegetables, fruits, nuts, etc. Meats/dairy that have not been given antibiotics or artificial hormones- free range chicken and turkey, grass fed beef, sustainable sea food, pasture raised pork, etc. minimally processed- ingredients that I can pronounce and know what they are. Healthy fats- coconut oil, olive oil, grass-fed butter, tallow/lard from pasture-raised animals, nuts/nut oils, avocados, Chia and flax seeds, etc. No low-fat, low calorie stuff- Full fat, grass-fed dairy and cheeses. 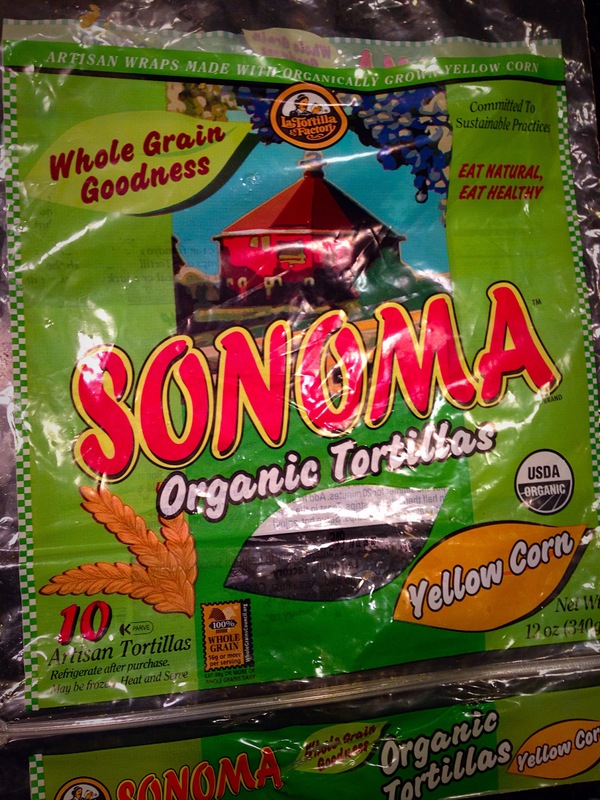 Whole grains and only in small amounts. Preferably sprouted. (I’m gluten free, but the rest of my family is not). But these were gradual changes I made over time. Changing everything at once would be very difficult and very overwhelming. I highly recommend doing a little research- read one of those books or watch one of those documentaries. And then go from there. Pick one new thing to buy organic each time you shop, change one kind of meat, buy grass-fed butter instead of margarine- Every small step can lead to big changes. Food is medicine you take 3 times a day- make it count! *Side note* I recently found out that certain foods cause an immune response in my body, so I now avoid mushrooms, radishes, cane sugar, chicken eggs, amaranth, crab, and cranberries. So you won’t be seeing many recipes with those ingredients for at least a few months. I apologize ahead of time. There is nothing wrong with these foods- my body just reacts abnormally to them. 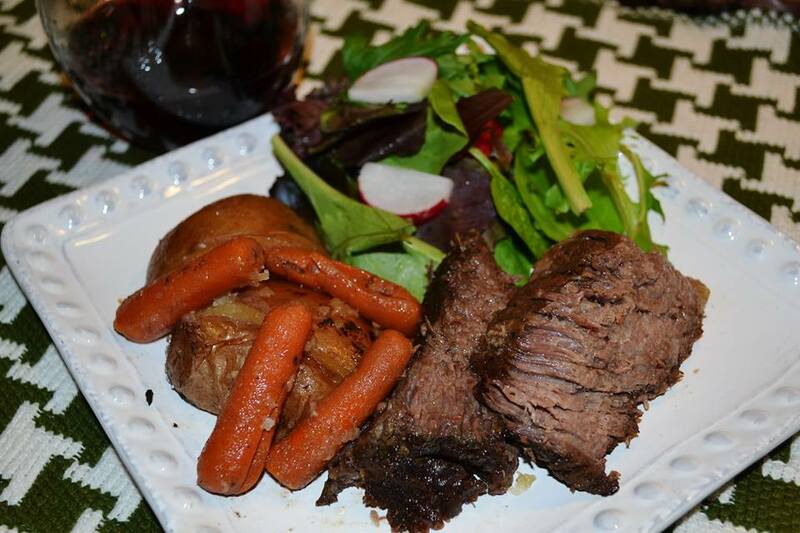 This roast was a Real Food Bliss customer favorite! The flavor is amazing and it will have your whole house smelling heavenly. I prepped it today and put it in a freezer bag. All I will have to do tomorrow is throw it in the crockpot. If you decide to make this a freezer meal, I just recommend thawing at least overnight in the fridge prior to cooking. I guarantee this one will be a family favorite! Place all ingredients except roast, potatoes and carrots in a mixing bowl or 1 gallon freezer bag. Stir well to combine. If cooking immediately place the roast, potatoes, and carrots in a crock-pot and pour the marinade on top. If freezing or refrigerating for later, place the roast, potatoes, and carrots in the freezer bag with the marinade. Seal and turn a few times to coat everything with the marinade. Cook on low 8-10 hours. Inhale the wonderful aroma and soak in the praises of everyone who gets to try it. I love adapting recipes to be healthier. This shrimp recipe I found on good ol’ Pinterest, but it called for a packet of dried Italian dressing mix. While I used to love that stuff, it can contain some questionable ingredients. Plus real garlic and herbs are just better for you and provide all the flavor without all sodium and anti-caking agents. We made this while on a girls weekend and it was a huge hit! This shrimp is also a favorite of my daughter’s. Preheat oven to 350 degrees. Place the stick of butter on a cookie sheet with sides and melt in the oven. Once the butter has melted, remove the cookie sheet from the oven. Mix the minced garlic into the butter and scatter the lemon slices over the cookie sheet. Next, lay the frozen shrimp in a single layer over the lemons. Sprinkle with salt, Italian Seasoning, and black pepper (crushed red pepper would also be good for a little added heat). Now place the cookie sheet back in the oven. And bake for 15 minutes, until shrimp are bright pink and curled. This can be served over angle hair pasta or mashed potatoes. Also makes a great appetizer. My kids ate theirs with Mac N’ cheese and steamed green beans. Week #7. Wow, the time has flown! Another seven weeks from now and we’ll hopefully be well into spring. Light at the end of the tunnel! This recipe is so simple, but the flavor is out of this world! Before I found this recipe I had never used tarragon- I had been missing out! I love the flavor it brings to this dish! I got the recipe from Eating Well Magazine and we made it as a freezer meal for Real Food Bliss. 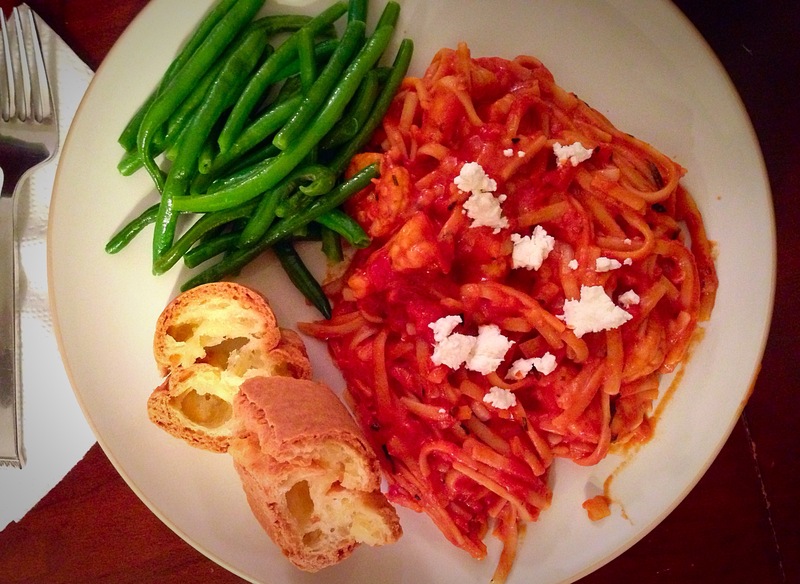 It was a big hit with our customers and one of my favorite pasta dishes! I cut the red pepper flakes in half when making this for my kids to eat. They devour this! Cook linguini in a pot of salted boiling water according to package directions. While pasta is cooking – heat olive oil in a large skillet over medium-high heat. Add the shallot, garlic and pepper flakes and sauté for 3-4 minutes. Stir in tomatoes. Bring to a boil and let simmer with lid off for 10 minutes. Add shrimp and tarragon and cook until shrimp is pink, about 5 minutes. Add pasta to sauce and toss to coat. Remove from heat and add the goat cheese. The goat cheese will melt easily into the sauce and give it a creamy consistency. Serve immediately. Mexican food is the bomb. I could literally eat it for every meal. Unless I’m pregnant. But that’s most likely not happening again in this lifetime. So my Mexican food eating days are looking plentiful, God willing. 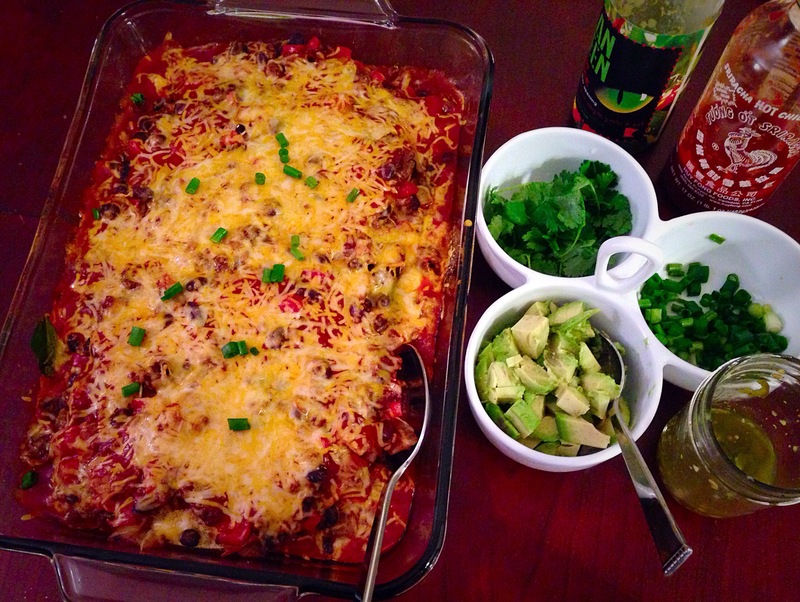 This enchilada casserole has been in the works for awhile. It started out pretty boring with just 4 ingredients- meat, enchilada sauce, tortillas, and cheese. It was good, but boring. Plus I felt like I needed to serve a salad or veggie with it since it didn’t really have any in it. So I decided to put the salad right into the casserole. 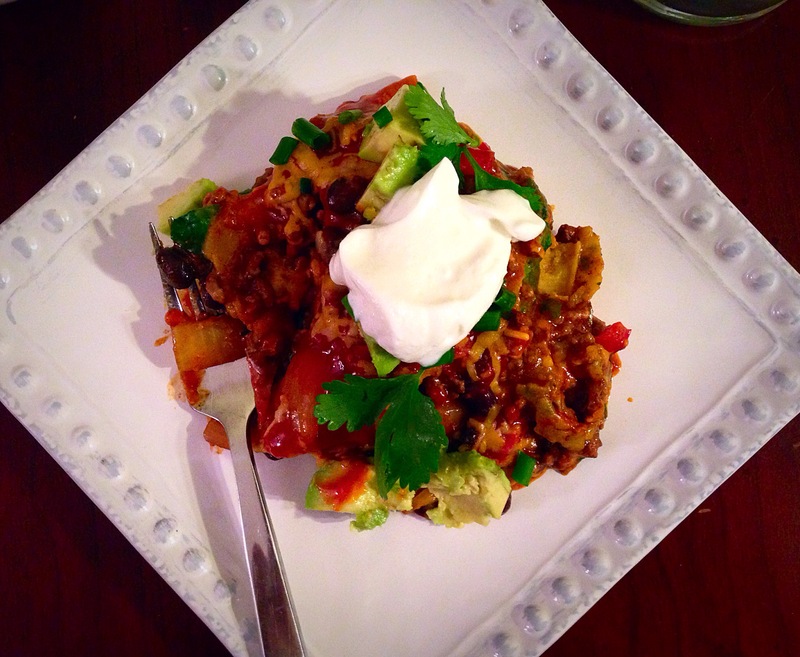 And I finally achieved Enchilada Casserole perfection! Nutritious? Check. Tasty? Check. Easy? Check. Preheat oven to 375. In a large skillet brown the ground beef with the onion and bell pepper. 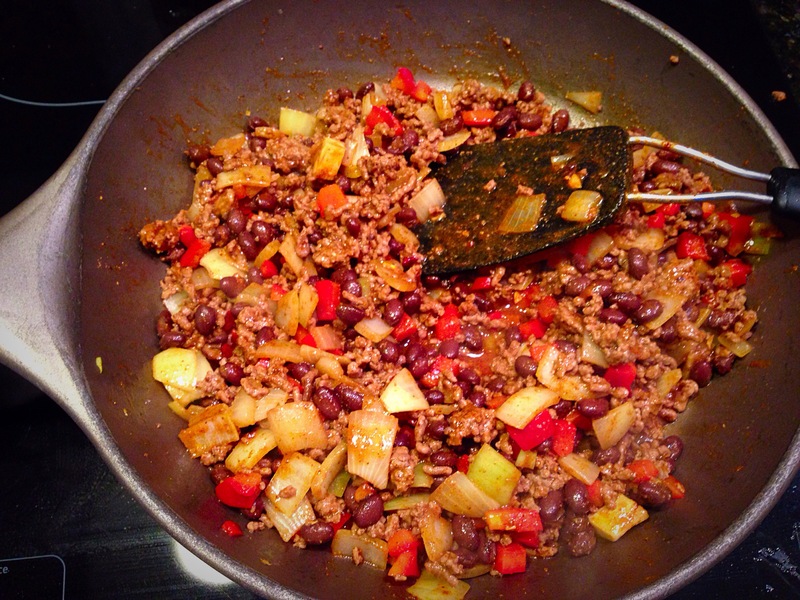 Once the meat is brown and the pepper and onion are soft add the black beans and taco seasoning. Mix well. Taste meat and add salt if needed. Turn heat off. Start layering the casserole. Pour about ¼ cup of the Enchilada sauce over the bottom of a baking dish and spread it around. Place 2 tortillas on the bottom, top with ⅓ of the beef mixture, ⅓ of the remaining sauce and a large handful of spinach. Sprinkle with ⅓ of the cheese and repeat starting with 2 more tortillas, then beef, sauce, spinach, cheese. Repeat on last layer with the remaining ingredients- tortillas, beef, sauce and cheese (no spinach). Place in the preheated oven and bake uncovered for 20-30 minutes, until cheese is melted and bubbly. Serve warm with toppings of your choice. I made these yummy sweet potato fries last week, but they are usually a weekly occurrence. Sweet Potatoes are a great alternative to regular white potatoes and bring a lot more nutrients to the table. I recently found purple sweet potatoes at my Co-op and can’t get enough. I don’t even waste time peeling them- why lose out on all that good fiber? Old Bay seasoning really adds the perfect contrasting flavor to the sweetness of the potatoes. Preheat oven to 400 degrees (convection works great for these if your oven has that option). Mix the olive oil, vinegar, Old Bay, and sea salt together in a large mixing bowl. Set aside. Scrub the sweet potatoes and remove any eyes or roots with a pairing knife. You can now cut them into whatever shape you’d like- my sweet potatoes were long and skinny so I just cut them into round slices. Add them to the mixing bowl and stir to coat all the pieces well with the oil mixture. Line a cookie sheet with foil and spray well with cooking spray. 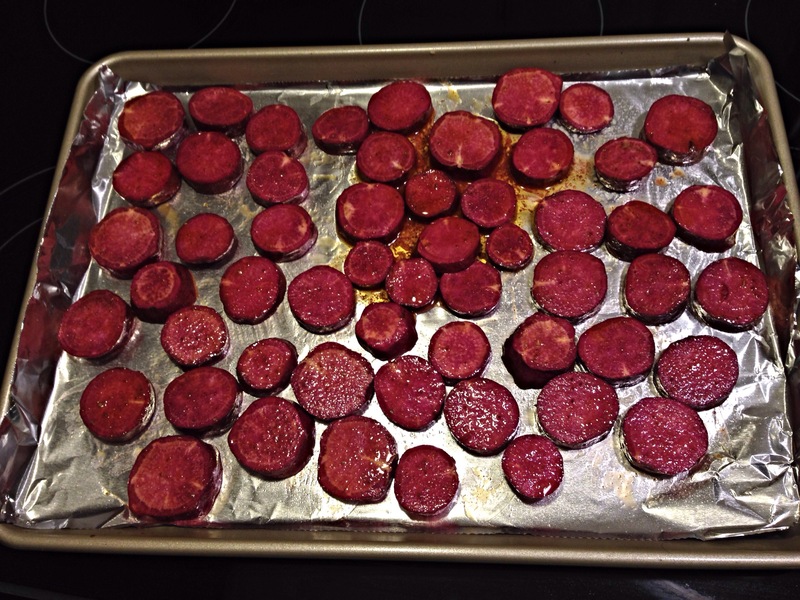 Arrange seasoned potatoes in a single layer on the cookie sheet and bake for 25-30 minutes flipping midway. I like to make a little seasoned sour cream (plain Greek yogurt actually) to dip my potatoes in. I just put a little yogurt in a small bowl and add Old Bay, ground black pepper and sea salt until I like the way it tastes. 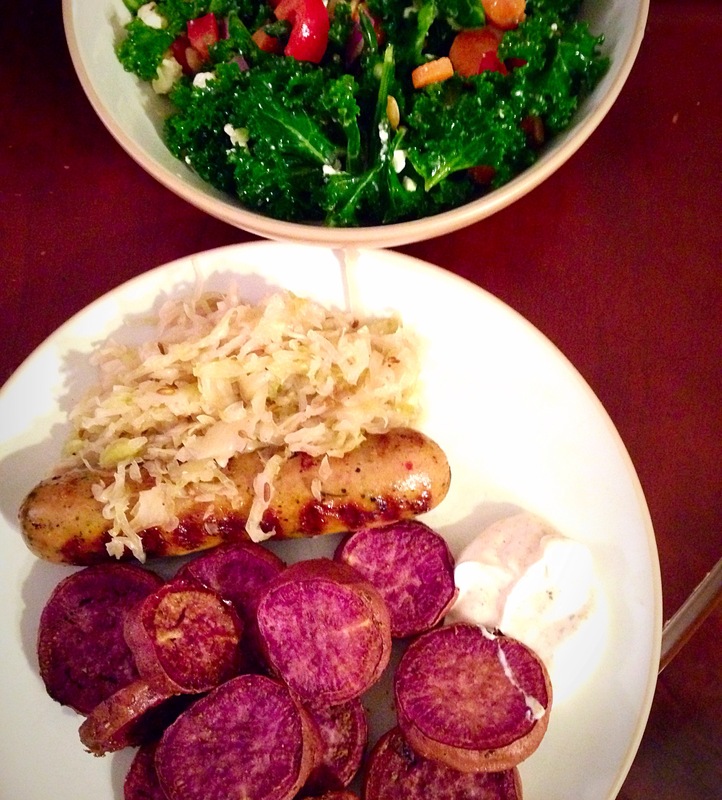 I served these potatoes along with my favorite kale salad as well as chicken brats from Trader Joe’s topped with sour kraut from the refrigerator section at my Co-op. Fermented sour kraut is awesome since it contains lots of good-for-your-gut probiotics as well as preserving the nutrients of the cabbage. My husband and I love sour kraut- we’re still working on the kids. Hope you enjoy this tasty and nutritious side dish! What will you serve them with? ACK! It’s Wednesday! Where has this week gone?!? 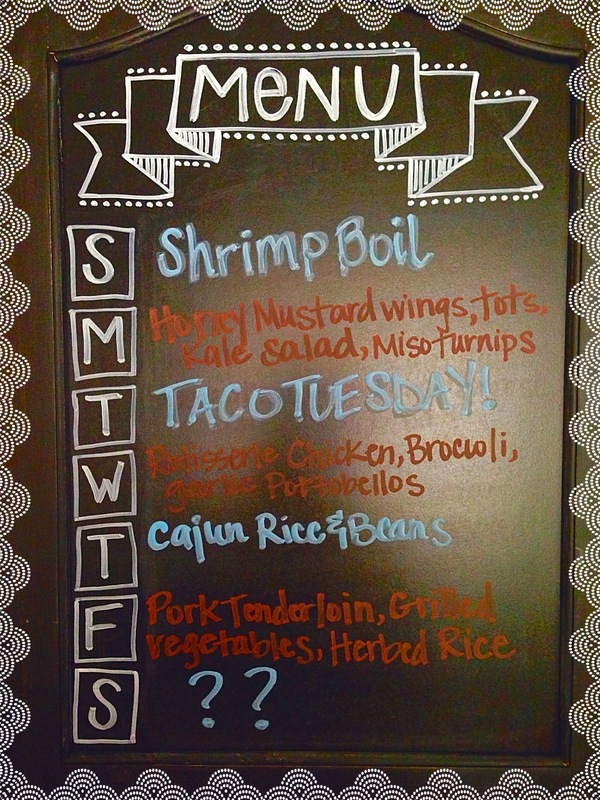 I was not a good menu planner this week. I did it in my head on Monday at the grocery store where I went without a list. This is not good. I end up buying the wrong things, too much of stuff, or completely forget an important item- like milk. The menu stayed in my head until I finally wrote it down today. Oh well. 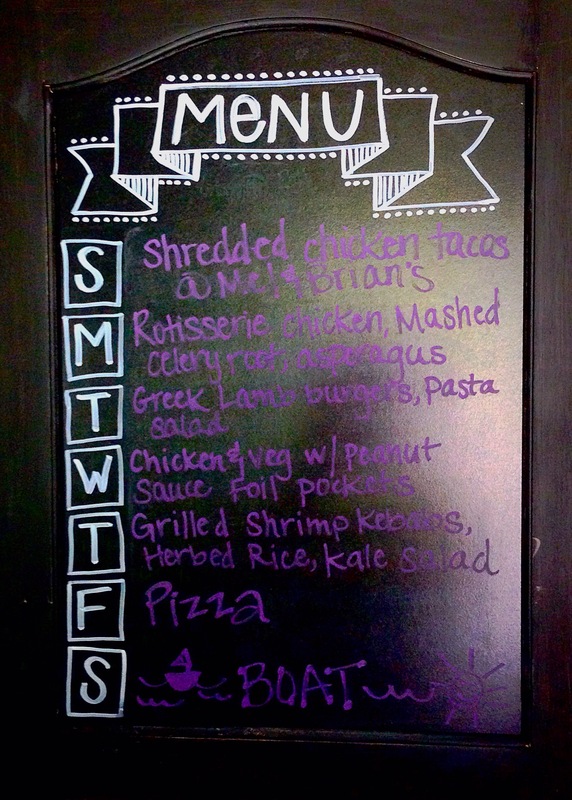 So, without further ado, here is Weekly Menu #6. Done mid-week. And by the way, the miso turnips did not turn out very well. But I did discover that I really love miso paste. So I’ll be looking for recipes that involve that ingredient, besides the obvious miso soup (which I had today for lunch- Yum!). Any suggestions?